Located in the Sassi District of the ancient Italian city of Matera, Corte San Pietro Hotel takes shape into the stone walls and ceilings of the centuries old natural caves of the Unesco World Heritage Site. 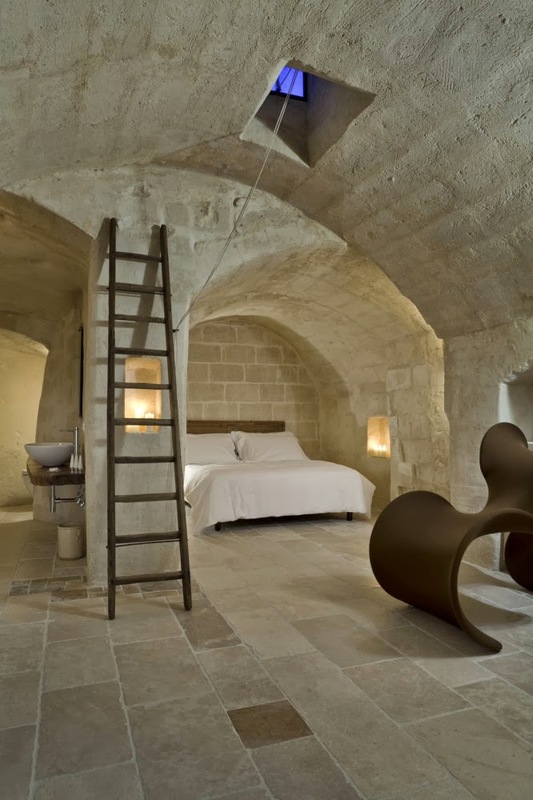 Designed by architect Daniela Amoroso, the interiors are formed by these natural elements, excavated spaces and the carefully selected, simple and refined furnishings. The result is a timeless, both contemporary and ancient, unique interior space for travelers aiming to explore the ancient city. 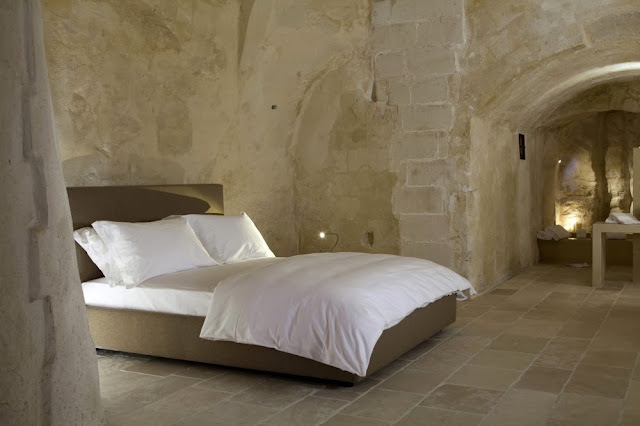 Matera is one of the most ancient cities in the world and its territory contains the evidence of human settlements as from the Palaeolithic times. 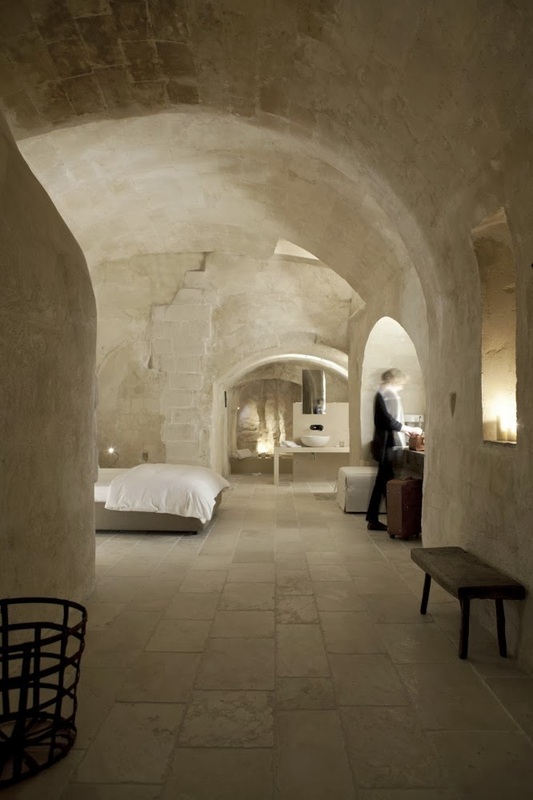 The Sassi districts, World Heritage site, are the original urban core of the city and, based on natural caves, they have been further extended over the millenniums to be turned into even more complex structures. 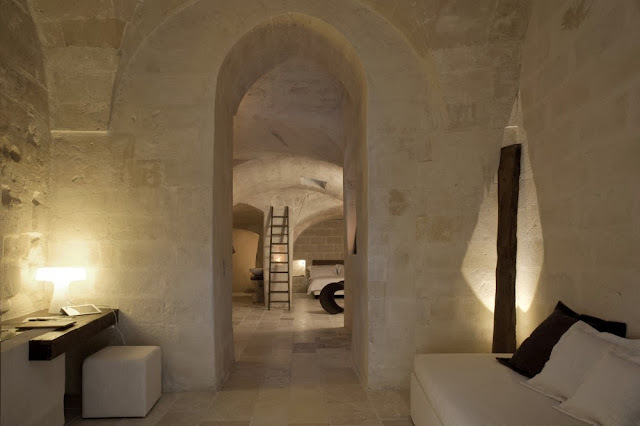 An intricate network of streets, alleyways, inner courtyards and neighbourhoods overlooked by habitations of all sizes, ancient defensive walls, towers, warehouses, wine cellars and cisterns. A never-ending excavated and built system. 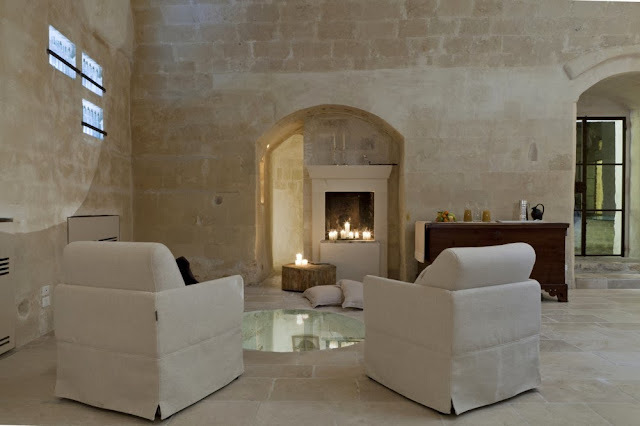 In the very heart of the Sassi district, an abandoned structure in disuse dating back to the XVII. 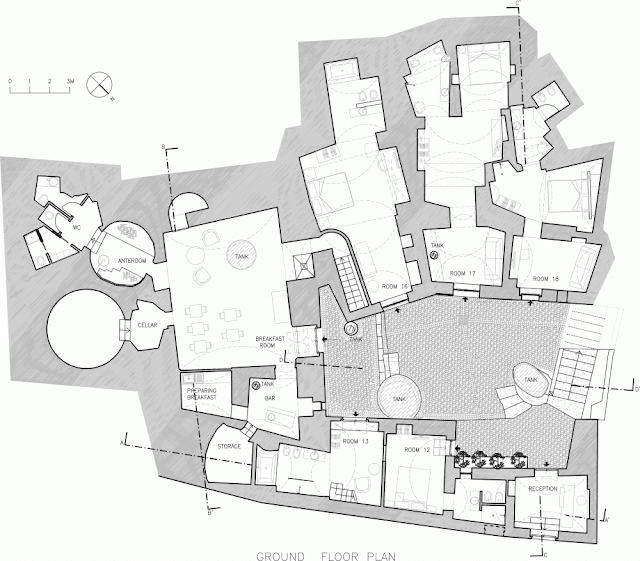 C and which surrounds an internal courtyard has been restored and reinvented to be turned into new spaces of a hotel. 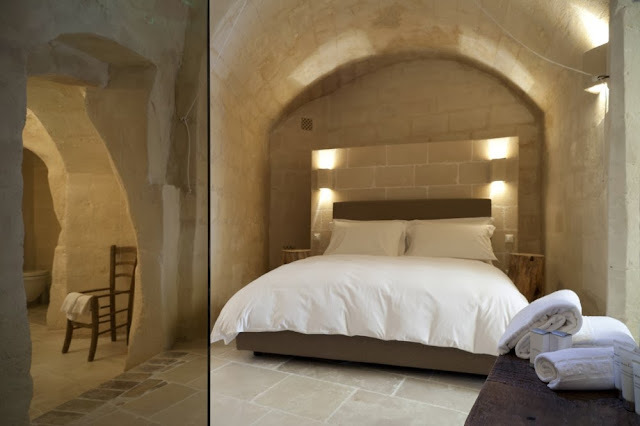 Useless architectural contaminations and superfluous layers of pavement have been removed, uncovering the original tufa stonework topped with vaults: the historical structure has been laid bare, as an architectural evidence to confront and dialogue with. 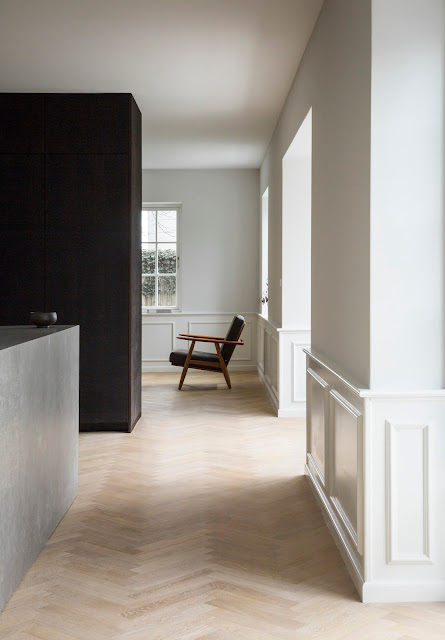 In this search for essence, authentic, pure space free from excess, we can recognize the Wabi spirit conceived by the Belgian Axel Vervoordt. The historical places, full of an attractive identity, harmoniously and precisely combine to the comfort and to the refined and elegant design. 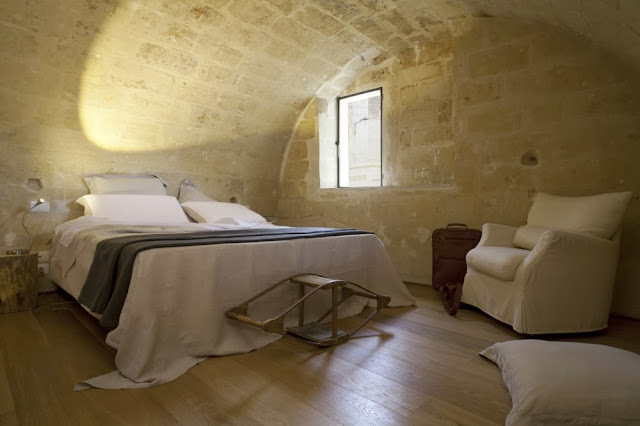 Turned into refined hotel rooms, the former habitations at the ground floor overlook an internal courtyard which, thanks to long and accurate restoration works, is characterized by an original stone pavement called “a chiancarelle”. 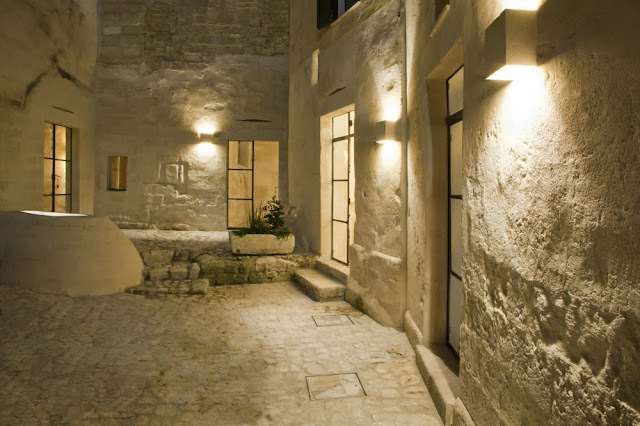 Enlightened with candle lights in the evening, the courtyard becomes very cosy and intimate, giving a sense of protection. 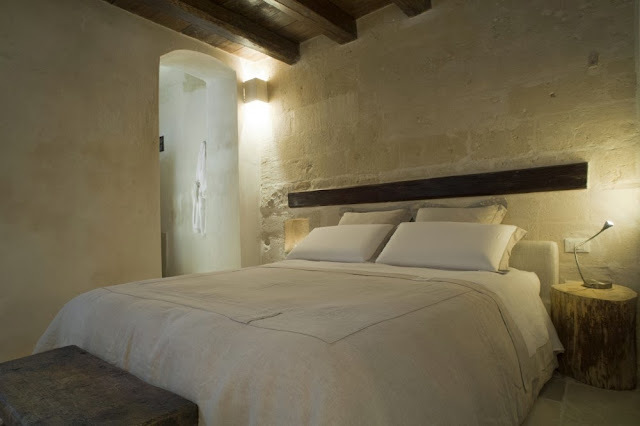 From the entrance in Via B. Buozzi, visitors are greeted as in a private house in the graceful and cosy reception, elegantly furnished, through which it is possible to access the private courtyard. 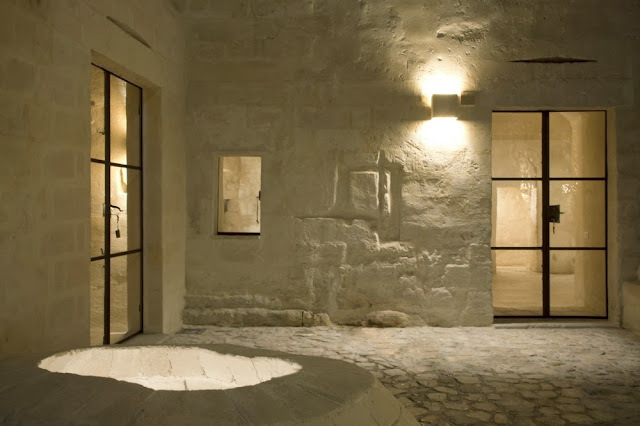 The rooms located all around the courtyard are rigorously monochromatic, characterized by chestnut brown shades, from the beige of the stone to the brown of the wood and the weathering steel. 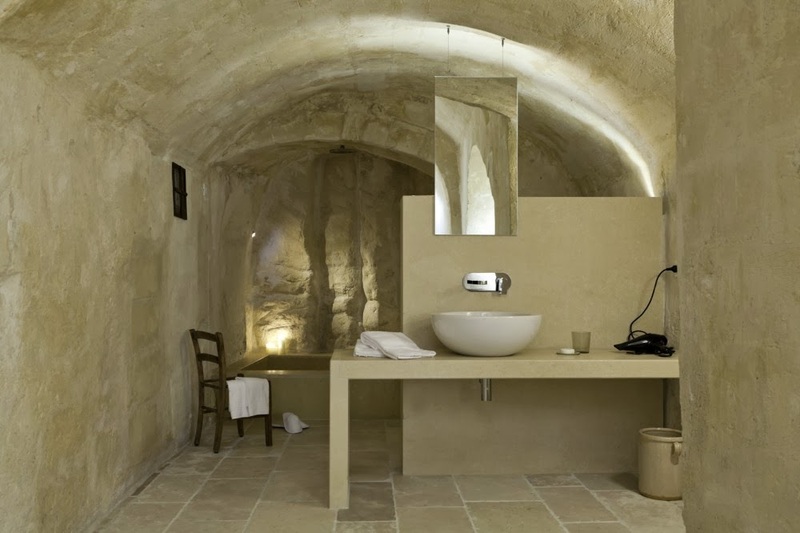 Soil, stone pavement and the natural colour of the stone become wall, ceiling and sitting. The constant search for a connection between the various inner rooms and the landscape is the very base of this combination of local stone, wood and iron in each single room with different proportions according to a linear and essential design. Poor elements usually combined to a country style become light and modern. 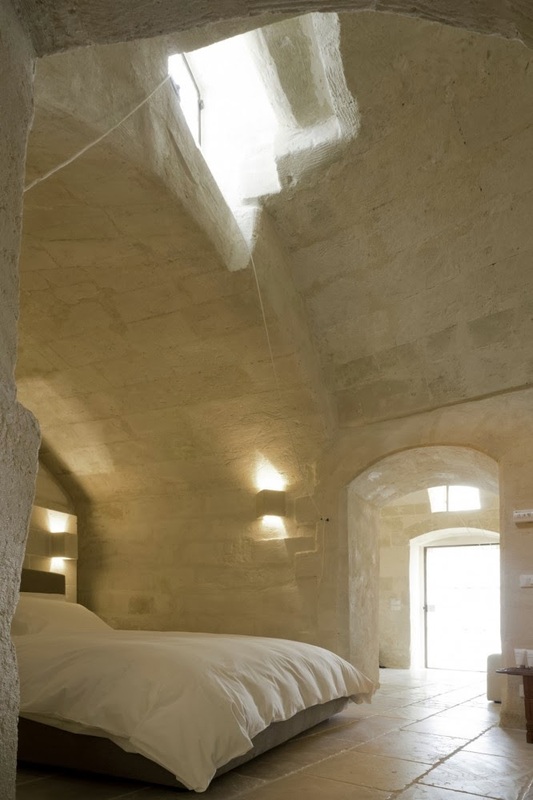 The linen curtains of the entrance doors skillfully made by hand let a bright light reach the first area of each room dedicated to sitting/living area and relax whereas the following private areas carved out from the rock face, are enlightened through skylights from the vaults. 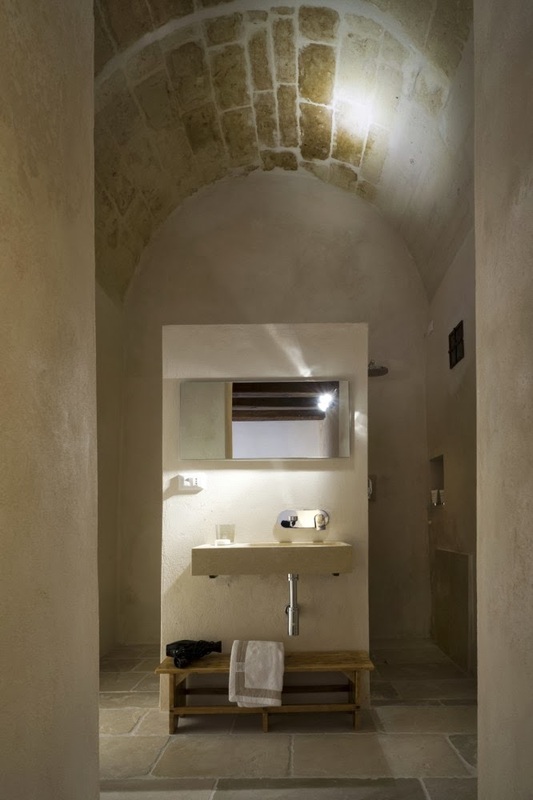 These small windows, from above, allow beams of light to alternate with large dark intimate areas. Tufa arches introduce to bathrooms, intimate and cosy spaces featured by niches and cavities now containing large stone bathtubs or showers. 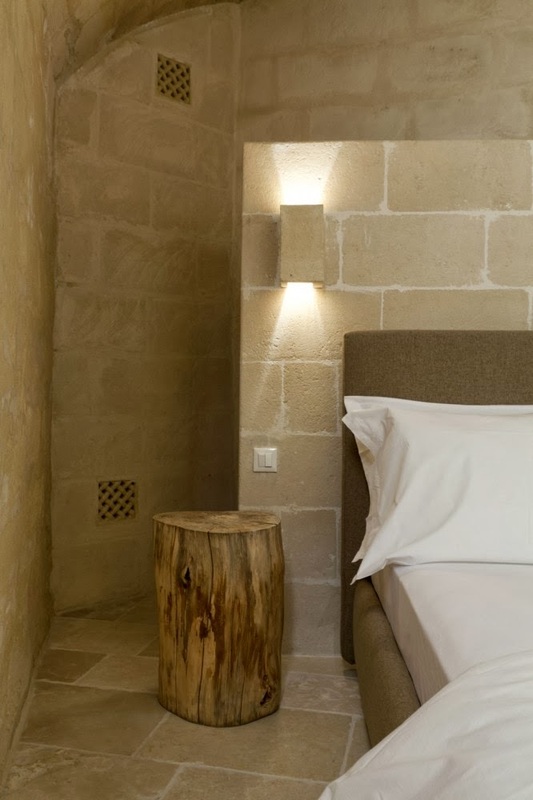 The interior design is based on restored vintage furnitures and typical tools. 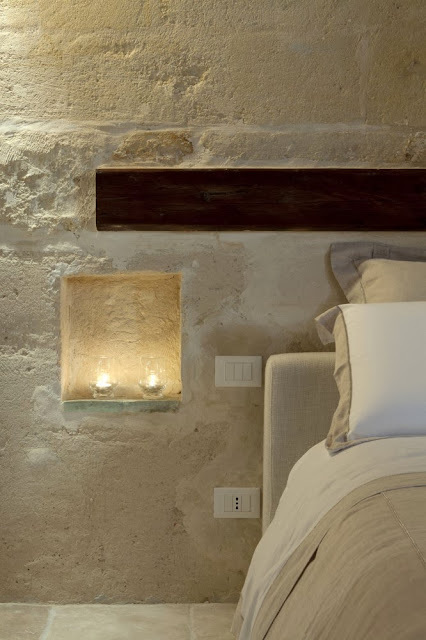 Nature and timeworn objects perfectly suit each single room through various furnishing elements: old benches in century-old chestnut tree become either doors, shelves or tables, old wooden chairs frames become towel holders, tree logs become stools or bedside tables. 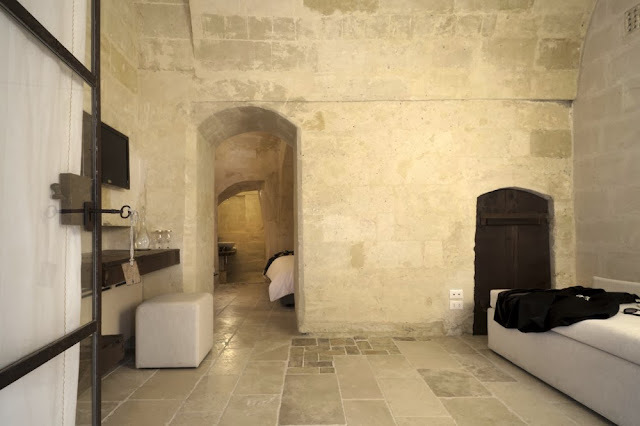 The whole hotel develop horizontally all around an area, the courtyard, characterized by slight differences of level and surrounded by five rooms, the reception hall and the breakfast room, in an ancient typical system which features the whole structure. Under the hotel, below ground, are located eight bell-shaped cisterns, evidence of the former system for the collection of the rainwaters and excellent example of sustainability. 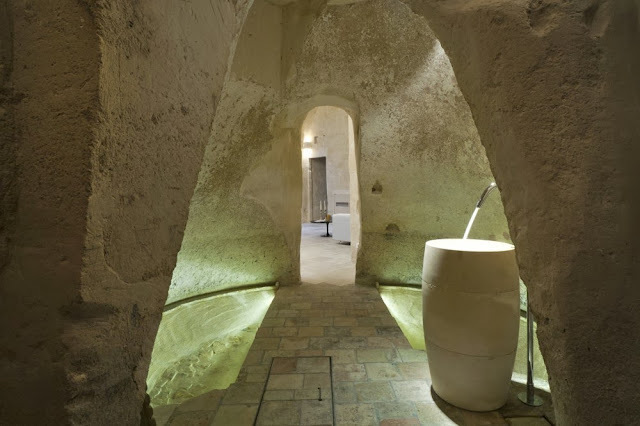 Rainwaters were forwarded through gutters, drainpipes and channelings down to the cisterns connected to the habitations. 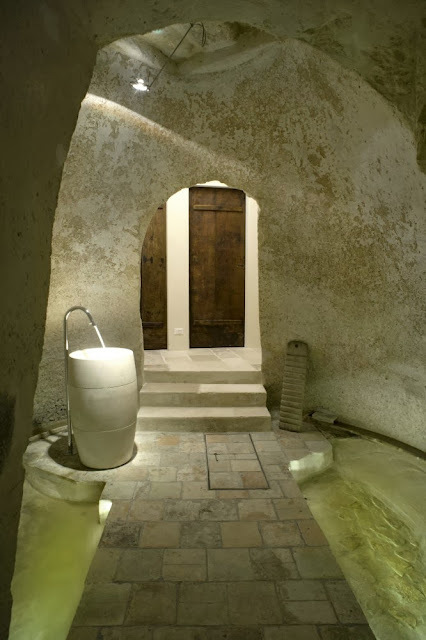 Cisterns are visitable through narrow inner passages. Going through the changeable silence of a cave and adapting ourselves to these dark environments means to be immerged into another dimension, where it is possible to seize the deepest and ancestral meaning of these places, of this land. 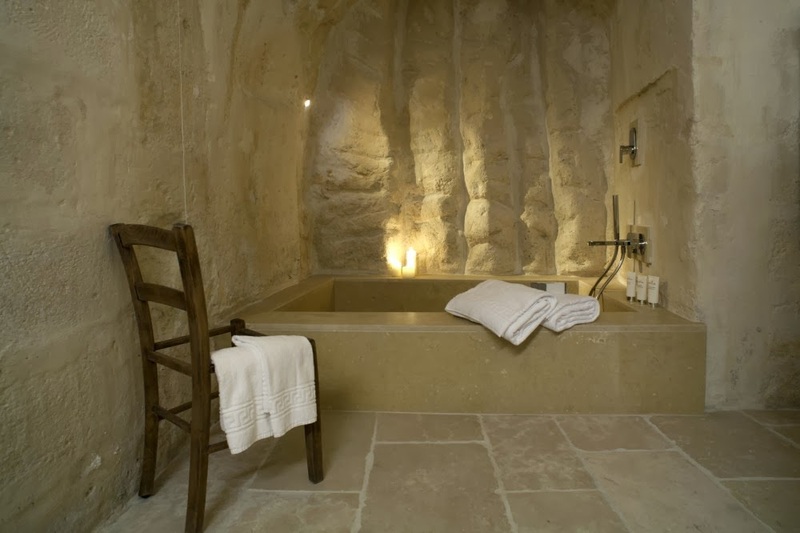 It is a place where to feed our souls and feel a strong wellbeing.